There are many types of biodegradable urns, made from a variety of materials such as recycled paper, gelatin, sand or salt. Not all biodegradable urns however, may be used for sea burial – please ensure that yours is appropriate for sea burial. We use all these types of urns on a regular basis on our charters and have many in stock. By using a biodegradable urn, the cremains are contained and disperse after the urn sinks beneath the waves. According to California law, all urns placed in the water must completely breakdown within 4 hours. On many occasions we have received urns, that although the family was told they are suitable for ocean burial, they are not. Urns are not required for scattering, but are an option some families wish as they eliminate the potential for blow-back. As well, some religions prefer that the cremains are contained during a burial at sea. 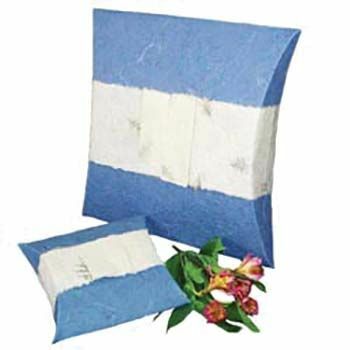 All the biodegradable urns come with biodegradable bags. The cremains are first placed in the bag and then the bag is placed inside the urn. This keep the cremains intact before they are placed in the ocean. As soon as water comes in contact with the bag it immediately dissolves, releasing the loved ones cremains into the ocean. Biodegradable Paper Turtles are crafted by hand from recycled paper using non-toxic glues and the purchase of a turtle contributes to the preservation of a traditional local art form. The skilled artisans producing these beautiful turtles are paid a fair wage in local workshops environments. The turtles are designed to float briefly before sinking. The time that the turtle takes to sink will depend on the weight of remains inside and local water conditions. Once the turtle sinks, it will biodegrade naturally over time. 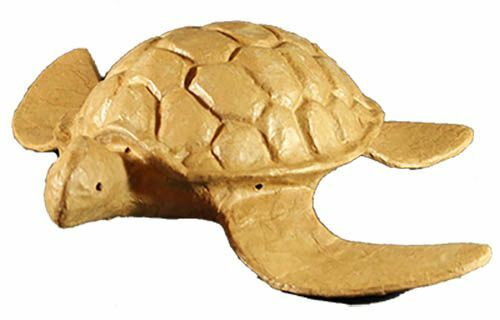 Since the turtles are crafted by hand, the size, shape and color of each may vary slightly. We also have smaller biodegradable turtles (baby turtles) which are appropriate for several members of the family to scatter the cremains. Video of a biodegradable turtle urn on our urn video page. 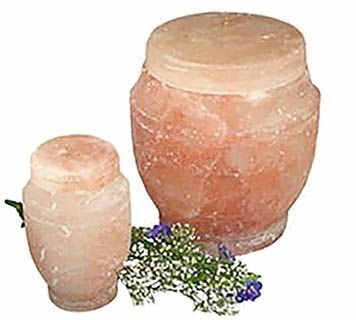 This Biodegradable Salt urn is individually hand-crafted by skilled artisans from solid blocks of Himalayan rock salt. The salt deposits in this region are over 250 million years old and are believed to be the purest on earth. These urns are very attractive and if you are doing any kind of service they really make a powerful statement. This urn comes with a biodegradable bag and tie for the cremated remains to be placed in, before the urn is placed in the ocean. As a result of the hand-crafted and natural qualities of the Salt urns, each is unique in both color and finish. After submersion, the urn will take 4 hours to dissolve. Journey Earth urns are hand-crafted from sustain-ably produced and biodegradable paper. When placed in water they will float briefly and sink to the bottom, where they break down naturally over time. 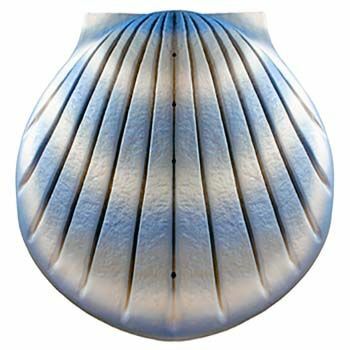 There are various variations on this theme and they are available in may colors such as ocean blue, dark blue, white, gray and green. Video of a biodegradable journey urn on our urn video page. Memento urns are hand-crafted from sustain-ably produced and biodegradable paper. When placed in water they will float briefly and sink to the bottom, where they break down naturally over time. Sand urns not surprisingly are made from sand. When placed in water they will bob briefly and sink to the bottom, where they break down naturally over time. As seen above, they do come in a couple different sizes. 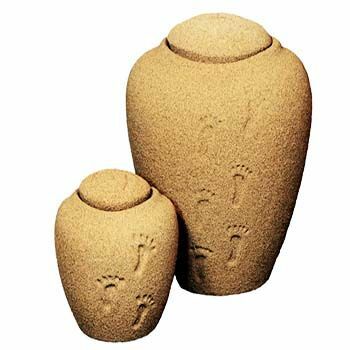 We generally just use to larger size to be sure all the cremains will fit in the urn. The urns has footprints on them representing a journey that has been taken. 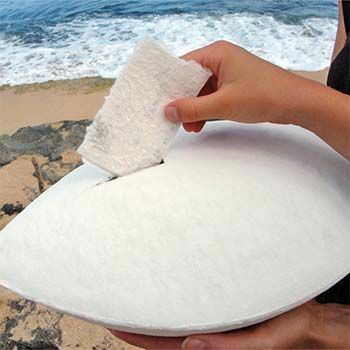 Sea Shell biodegradable urns are made from recycled paper products. They come in 4 colors blue, sand, peal and coral. A unique feature of these urns is that they have matching keepsakes which are also available, so you may take a portion of the loved ones cremains homes with you. When placed in water they will float much longer than some of the other urns before sinking to the bottom, where they break down naturally over time. Travelling with biodegradable urns is generally not an issue. We do recommend that you take them as carry on luggage when they are already full with cremains. You do not want to take the chance of loosing them. So long as TSA can x-ray the contents you should be fine. If the interiors are not able to be seen with x-ray then you will have to take them as checked baggage. Given all this said, you should always check with you airlines as rules may often change.